The old approach to HIPAA involves relying on lawyers for compliance paperwork and working with expensive consultants to configure HIPAA safeguards. We are here to change that. With the Dash Compliance Automation Platform, healthcare organizations can easily implement compliance policies, technical controls and maintain regulatory compliance in the public cloud. Dash offers a solution for configuring and managing HIPAA compliance across Amazon Web Services (AWS). Healthcare organizations, vendors, and startups want to focus on innovation and product development rather than burdensome HIPAA regulations. Dash enables organizations can mange regulatory concerns, while developing applications on the market-leading cloud platform. Dash is developed and supported by healthcare and cloud experts. We help healthcare organizations realize the true power and flexibility of healthcare and the public cloud. 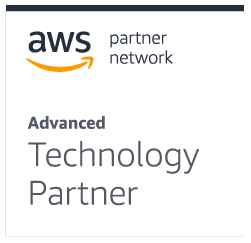 As an AWS Advanced Technology Partner, Dash has built around the compliance needs of the market-leading cloud provider Amazon Web Services. We continually work to streamline HIPAA compliance across the hundreds of available cloud services and technologies. Risk assessments only measure an organization’s security and regulatory compliance for a single moment in time. With Dash Continuous Compliance Monitoring, organizations are notified of compliance issues as they occur. Dash allows organizations to build and customize HIPAA administrative policies and connect these policies to further controls. Organizations can easily establish and maintain a security plan in Amazon Web Services and the public cloud. Ready To Unlock Your Cloud Potential?